Neponset (IL), United States – The Coffeyville Resources Nitrogen Fertilizer plant in Kansas has adopted innovative belt cleaning, alignment and modular chute technology to resolve tracking, spillage and dust problems on two conveyors transporting petroleum coke (petcoke). Martin Engineering redesigned the system with belt stabilization and chute sealing technology, sensitive belt tracking equipment and heavy-duty primary and secondary belt cleaners. 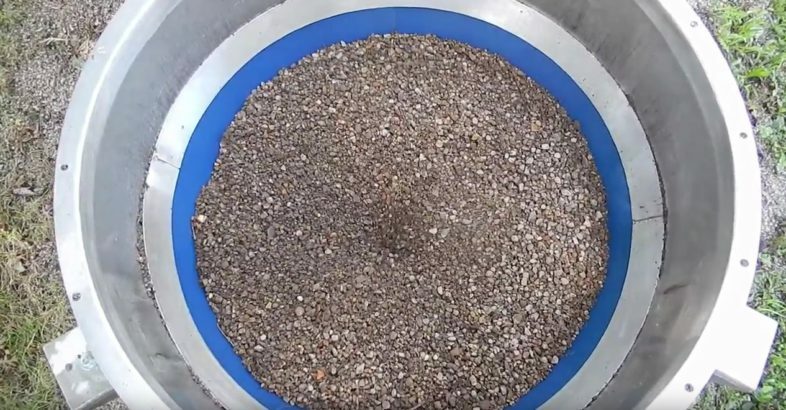 Drop-in liner improves the flow of aggregate.